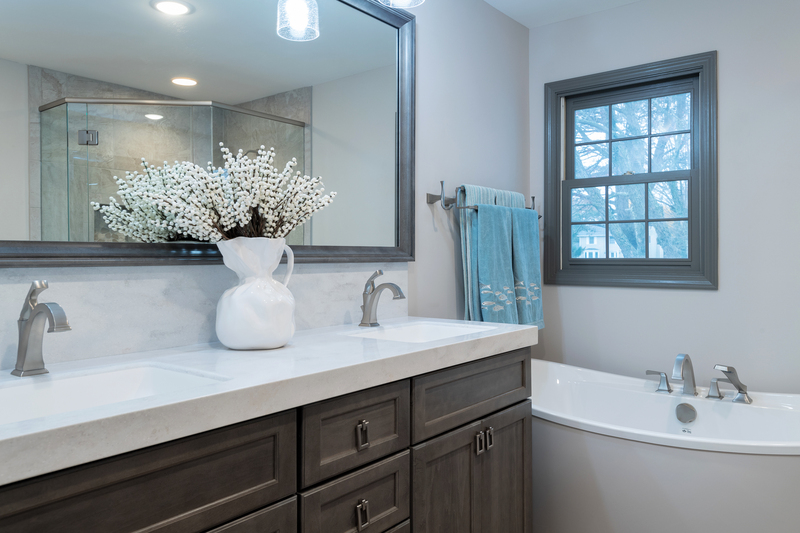 Odd Fellows Contracting worked with the client to remodel a master bathroom in Okemos. 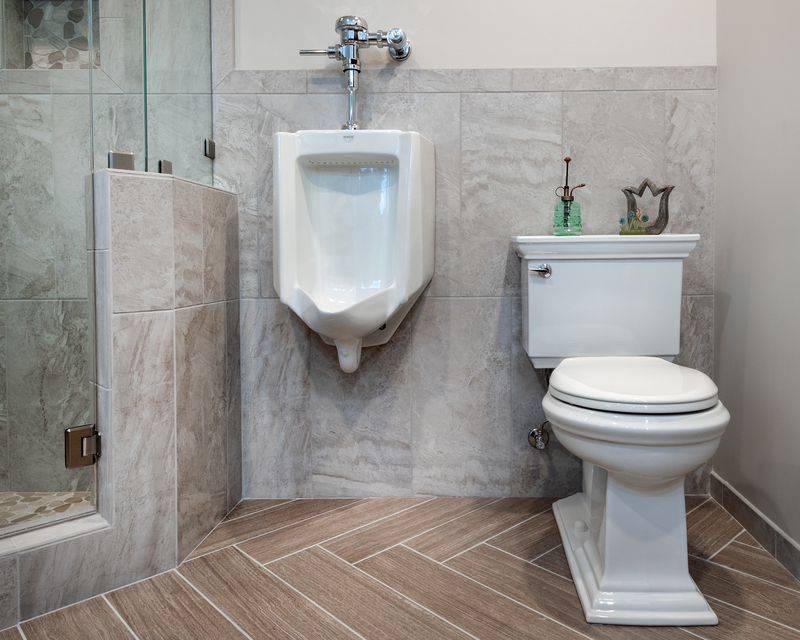 The design of the tile on the floors and shower enclosure were a key factor in the design. 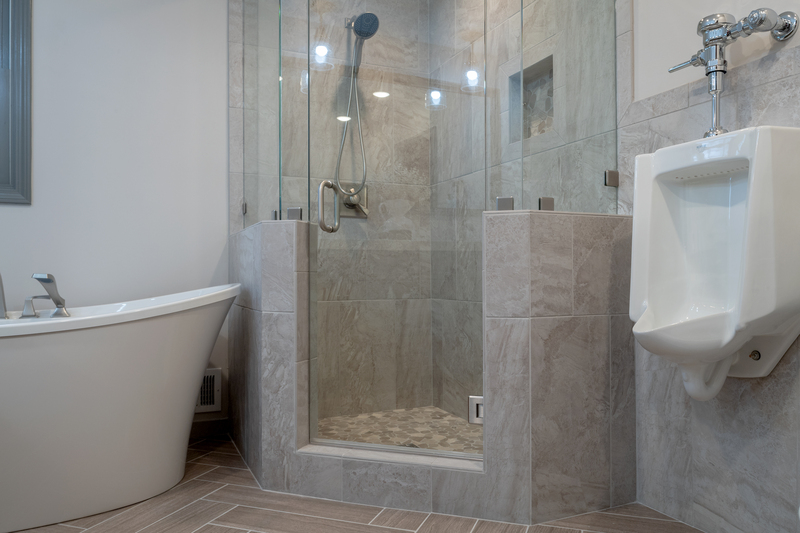 The space was designed to accommodate a walk in shower, standing tub, toilet, and urinal. 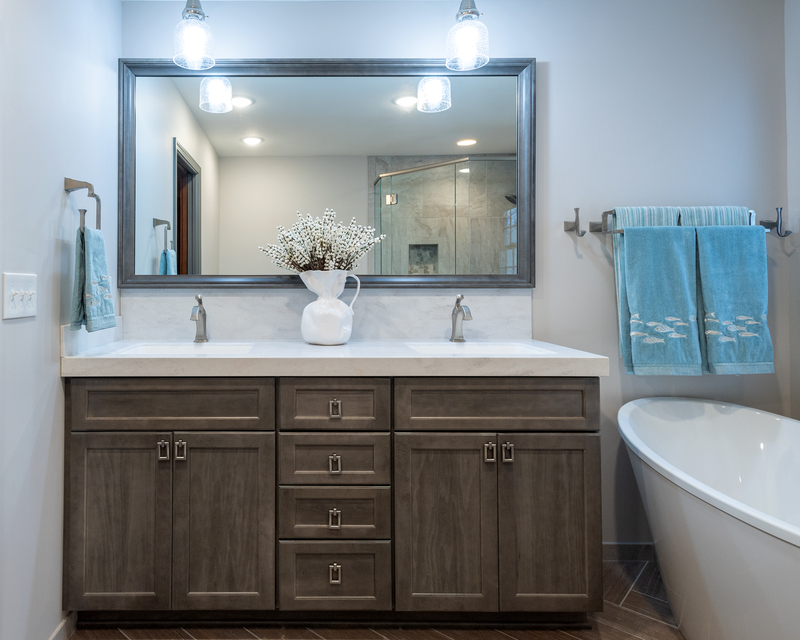 The mix of the darker wood on the cabinets with lighter countertop provides an updated transitional design. 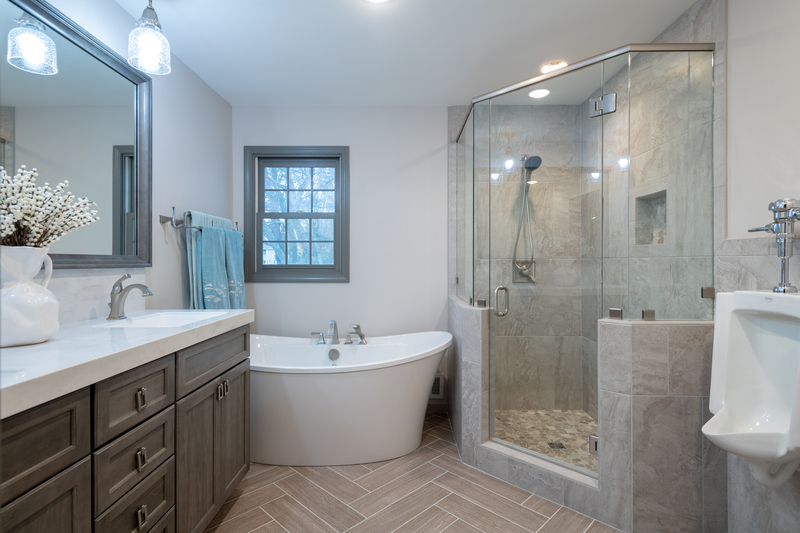 Extra effort was put into the design of the herringbone flooring to ensure the proper layout as well as design of the niches and coordination of the shower floor. 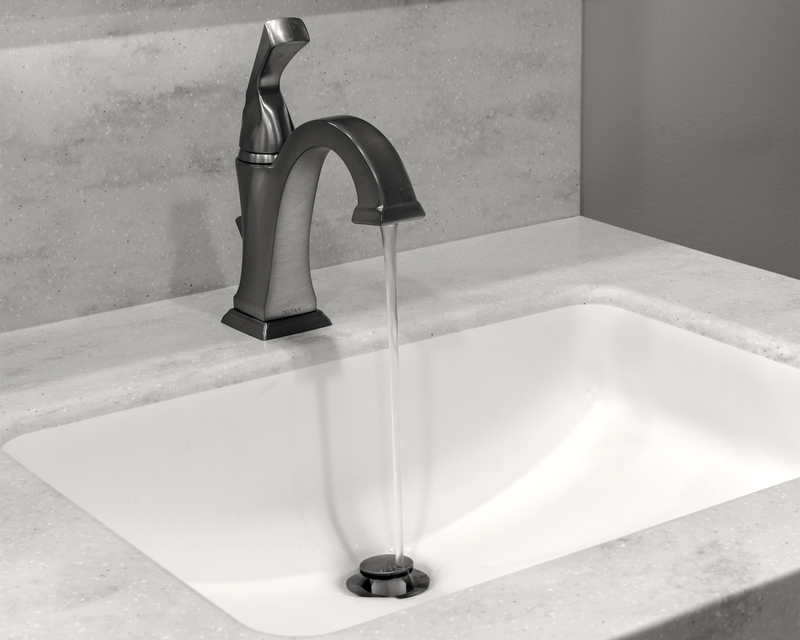 Multi use bathroom in existing space. 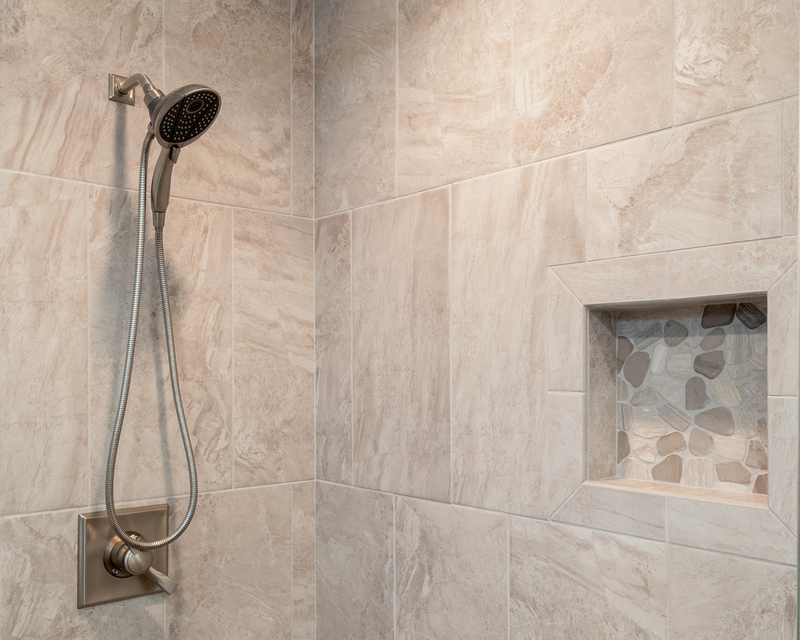 Tile flooring and shower enclosure with built in niches in the shower. 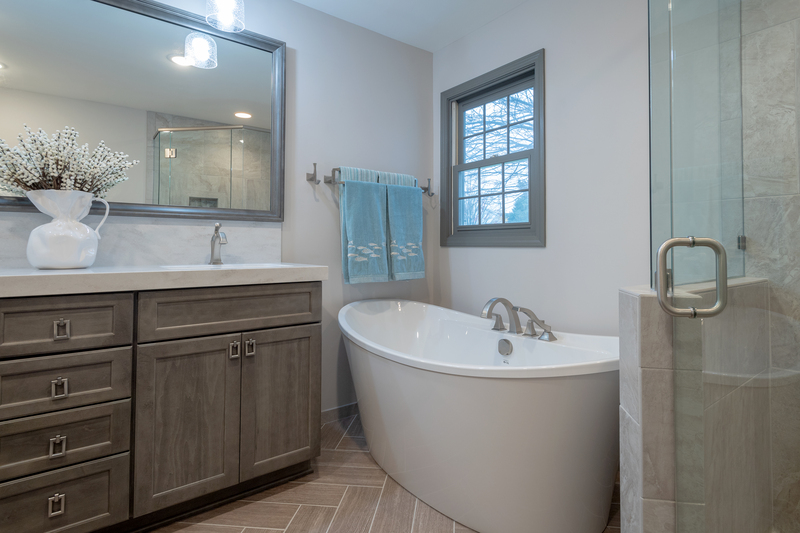 Soaking tub next to the window. Before and After Photos Available for this Project.